Aramine positions itself as a key player in the distribution of world-renowned brands. Indeed, official distributor of Epiroc®, Normet® and BTi ® for underground mining in targeted geographical areas, Aramine is one of the leaders on this market. These three complementary products, associated with the ARAMINE narrow vein range allow us to offer the widest range of underground solutions. 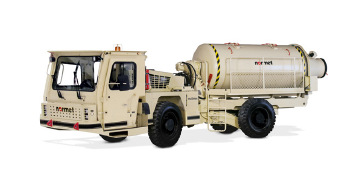 For more than 25 years, Aramine has been the official distributor for EPIROC® (LHD & mine trucks). 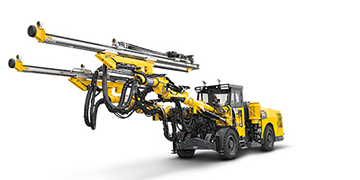 This offer covers drilling, loading and rock transport, supported by a 24-hour service, and technical expertise. Aramine has also renewed a partnership with NORMET® service vehicles. Normet provides complete technical solutions to improve underground construction and mining processes. Aramine has also signed a partnership with BTI® breaker technology. BTI® manufactures a wide range of mine, quarry, construction and demolition equipment. Specialized in stationary and portable rockbreaker systems, construction and demolition attachments.